Excessive fat in the belly is a common problem among most of us. Millions of individuals suffer from the problem of tummy fat and obesity, which is one of the most common health problems in recent times. In fact, to be more specific, it is the excessive tummy fat that creates a huge cause of concern for our health and well being. Whether you like it or not, gaining tummy fat is super easy, but it’s very difficult to reduce tummy fat. Several studies have shown that excessive tummy fat can actually be the cause of one’s death especially in case of women if it is not controlled in due time. It is one of the leading causes behind the occurrence of several health problems like cardiovascular issues, diabetes etc. So, it is very important that we control tummy fat and do whatever it takes to reduce it before it gets too late. While exercises have always been a favorite among most of us to reduce body weight, you must also be very careful while eating. There are many foods that accumulate tummy fat and you must avoid such foods. But at the same time there are foods to reduce tummy fat as well. And that’s what we are going to discuss in today post. I will give you a detailed note on tummy fat and also share the list of 15 healthy foods to reduce tummy fat. By this time, you already know how dangerous excessive abdominal fat can get but besides affecting us physically, it takes a toll on our mental health as well. Today’s world is a rat race and each one wants to outdo one another in all aspects. People today have become too aggressive to the extent that individuals bully one another on the basis of looks, and the obese people become the easiest targets. This is one of the primary reasons why being an overweight individual and having excessive belly fat can be the cause of severe depression. I have seen people unable to cope up with this situation and suffering from too much inferiority complex. In fact, several cases have been reported where this depression has led people to drugs, suicide and other negative things. While it is hard to change the mentality of people, we ourselves can take cautions to get in shape and for that you must eat right. Being aware and informed about the foods to reduce tummy fat will certainly help you. You do not need to reduce your weight especially your tummy fat to impress others, but you must do it for your own good. You should work on to reduce your belly fat to make yourself fit, healthy and happy. And, since whatever you eat puts a direct influence on your body, it is better to start with your diet plan and my list of 15 healthy foods to reduce tummy fat will help you get it right easily. I will be discussing about the healthy foods to reduce tummy fat, but before that I would like to talk a little about the causes that lead to abnormal weight gain around your waist. There can be several factors that lead to excessive tummy fat and we must know all of them. This is really important in order to solve the problem better. You need to identify the cause behind your abdominal fat gain and work accordingly to get backin shape. Now, that you see the primary causes, I hope you got a fair idea what unhealthy practices you have to avoid to remain in shape. So, without wasting much time, let us begin with the list of healthy foods to reduce tummy fat easily. Having a proper diet to get rid of the tummy fat does not mean that you will do crash dieting and eat too less. Excessive dieting is never a solution to effective weight loss. It will instead make you extremely weak and dull looking. Your body needs nutrients and if it does not get the required nutrition, your immune system will get weak, and you will easily fall prey to diseases. Balanced diet means eating adequate quantities of healthy food in proper time and avoiding the unhealthy ones. Here the selection of food matters and so you need to concentrate on the best foods to reduce tummy fat. Listed below are the best foods to reduce tummy fat. Fruits are the must have ingredients in your diet chart if you want to lose weight and reduce your waist circumference. 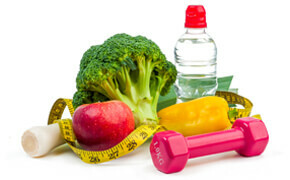 This is mainly because of the presence of the healthy vitamins and minerals that help to burn the excessive body fat. Several citrus fruits like orange, kiwi, lemon, fresh limes etc. are excellent for metabolism and the better your metabolic activity, the faster will be your fat burn. The other fruits that also contain fat burning properties are watermelon, apples, strawberries etc. Eat all these fruits to reduce your tummy fat fast. You must never forget about the green leafy vegetables when it comes to weight reduction especially your tummy fat. Vegetables like spinach, carrot, broccoli, kale, radish etc. are powerhouse of nutrients with good amount of fat burning vitamins, minerals and dietary fiber in them. They are mostly lower in calories which make them all the healthier for obese people. They boost your metabolism and improve your digestive process that helps you lose body weight. The water content in them keeps your body hydrated and also flushes out the harmful toxins from your body and keeps your system clean. So, whenever, you have food cravings, please eat some healthy vegetables as these definitely form a part of the healthy foods to reduce tummy fat easily. Another ingredient that you must not miss out is the healthy almonds. They contain healthy fats that do not add too much calorie to your body. Instead they keep you full for a long time and restrict you from overeating which means less calorie intake in a day. The healthy omega 3s present in almonds keeps your active throughout the day. This further boosts the metabolic activity and stimulates the fat burning process. So, almonds are definitely a must try for all especially for the vegetarians. If you are determined to get rid of your belly fat, then you must never miss out the healthy yogurt as it is definitely one of the most recommended superfoods to reduce tummy fat easily. It is filled with probiotic or gut good bacteria that boosts your digestive process and takes care of your gut health and studies are a proof of that. In fact, in one study published in “British Journal of Nutrition”, it was already proved that women who consume probiotics daily lost two times more weight than those who didn’t. So, you must eat the yogurt mainly the unflavored ones on their own or by adding with salads dressings or smoothies. Pulses or dal is actually the staple food in many parts of India and you must include these in your diet chart to reduce your tummy fat. This is because they are low in calories and contain healthy proteins in them. The lean proteins improve the metabolism of your body and also help build lean muscle fat. In fact, pulses improve the overall functioning of your body and keep you active most of the time which helps to shed your extra belly fat. However, simple boiled pulses are more useful that spiced up or fried pulses, so go for the simple boiled ones. Beans and legumes may not be among your favorites but they help you in shedding extra fats from your abdomen. They contain most of the healthy fat burning nutrients like fiber, vitamin, minerals and protein which are very much needed for your overweighed body. Beans and legumes are also great to suppress your food cravings because it keeps you full for a long time. So, eat lot of beans and legumes to supply your body with the variety of healthy micronutrients and lose weight effectively. Fiber rich foods are very much needed to shed the extra weight and oatmeal is definitely one of them. Proper consumption of oatmeal helps in the smooth digestion and keeps you strong and active all the time. Oatmeal is also filled with healthy carbohydrates that along with the insoluble fiber helps to suppress your hunger and helps to get rid of the excess body fat especially in the tummy area. Oatmeal is generally a great breakfast option. You can eat it in the morning with skimmed milk. However, make sure you eat the unflavored ones as the flavoredvariety contain lots of added sugar and chemicals. Eggs are great to taste and they also help in the reduction of body fat especially from the tummy. In fact, in one of the studies published in the “International Journal of Obesity”, it was cleared proved that participants who ate two eggs in breakfast had 65% weight reduction with the waist circumference reducing to around 34% in comparison to those who had bagel breakfast of similar calories. The main reason behind this is the presence of water, healthy proteins and fat-soluble vitamins that keeps your hunger cravings at check and helps build lean muscles. Healthy fishes are definitely the healthy foods to reduce tummy fat easily. It is mainly due to the presence of healthy proteins and omega 3 fatty acids in them. The proteins help build leaner muscles and the omega 3s helps your body reduce the inflammations which adds to the weight reduction process as the lesser the inflammation, the less will the risk of gaining unhealthy weight. Eating fish also improves the metabolic activities which is also much needed to lose fat. Whole grains such as brown rice, quinoa and millet are great for obese people due to the presence of healthy nutrients like vitamins, proteins, minerals and dietary fiber. Consumption of such whole grains satisfy your hunger pangs, aids in digestion, improves muscle mass as well cleanse the colon, all of which are necessary for shedding your excess tummy fat. Mushrooms are also the healthy foods that you can definitely try to reduce your tummy fat. This is because mushrooms are rich in Vitamin D whose deficiency as per scientific research can cause obesity especially abdominal obesity. Moreover, mushroom is also rich in protein that is also very beneficial for your overweight body. Mushroom is also low in calories and contains good amounts of water that further adds to the good effects. There are several ways to eat mushroom. You may make a soup out of it or add it in sandwiches or salads as per your wish. We have often thought that drinking fatty milk and its dairy products may actually lead to obesity but if recent studies are to be believed especially the one in Harvard T.H. Chan showed that the full fat dairy can actually reduce the chances of turning obese. One reason behind that is when you eat the full fat diary, you actually remain full for a long time and henceforth you do not feel the need to eat too much which in turn reduces the overall calorie intake. Also, the healthy fatty acid present in dairy products does contribute to effective weight loss. So, do eat the dairy products and let your body enjoy all the healthy nutrients present in them. However, if you are lactose intolerant, then you may avoid these. Nuts are great to taste and has also got several health benefits and they are definitely one of the healthy foods to reduce tummy fat easily. They are rich in healthy polyunsaturated and monounsaturated fats and proteins that increase your satiety and keep you full for long. This inhibits you from munching on the other unhealthy foods. These are also very healthy for your heart as recommended by the American Health Association. However, try not to overeat and go for moderate amounts. People who like their foods to be spicy can actually have a relief because spicy chili peppers like the green chilies, cayenne, red chilies etc. are great to reduce excess body fat especially the flab in your tummy. This is mainly due to the presence of Vitamin C and capsaicin, both of which are proven to be great in effective weight reduction. Actually, they increase the metabolic rate of your body which in turn stimulates the calorie burning process. So, add chilis in your salads, omelet, fritters etc. and enjoy the health as well as the taste. However, please do not overdo it. Olive oil is one of the healthiest forms of oil and I recommend everyone to use it while cooking. It is very light, delicious, and subtly fragrant and is low in calories which is good for your overall health especially when it comes to effective weight loss. It besides helping you shed your extra pounds balances the cholesterol levels in your body as well which keeps your heart healthy and strong. What else to do to reduce tummy fat easily? Besides consuming the properly balanced foods to reduce tummy fat, there are many other hacks that will help you to reduce tummy fat. For instance, you must maintain discipline in your life and follow certain rules which will help you get rid of obesity especially the fat in your tummy which is otherwise really difficult to reduce. First and foremost thing for you to do is exercise on a daily basis. See, lack of any physical activity is one of the primary reasons behind the occurrence of tummy fat and so you must combat it with proper work outs. This will keep your system active as well will help you burn your body fat mainly the belly fat in the means of sweat. Besides exercises, jogging and brisk walking is also very important. You may make it a habit to go out for morning or evening walks daily. Please get rid of your alcoholic nature. Alcohol in itself is injurious to health and drinking it in high amounts can lead to obesity especially in your tummy. So, please avoid alcohol consumption and stay fit and healthy. Lack of proper sleep can lead to obesity and so you must maintain a proper sleeping routine. Go to sleep at a fixed time as well as get up at a fixed time. Make sure you get a good sound sleep for around 7-8 hours. Balanced diet is a necessary if you want to reduce your body weight especially the fat around your tummy. So, make sure you get rid of all your unhealthy junk food habits and concentrate on the healthy foods to reduce tummy fat most of which are already mentioned above. Not just balanced diet but also try to maintain a proper food routine. Maintain proper meal timings and try to develop the habit of eating several small meals daily. Stress is another important factor that leads to obesity and so if you suffer from too much stress most of the time, then you can try out meditation and other relaxation methods to get rid of it. This will calm you down as well as help you lose weight. And, as far as the other health problems are concerned like PCOD that leads to obesity please contact a good doctor to get expert help. Obesity is increasing on an alarming rate and more and more people are getting affected by it. In fact, what causes more concern is the excessive tummy fat. There are individuals who are not that fat overall but still suffer from abdominal obesity. There are various factors behind these most of which I have already talked about in my today’s post. Now, sitting and getting upset over the whole thing is not the right solution to it neither is crash dieting. The first thing that you must do is to eat the supper foods to reduce tummy fat easily. All the 15 foods that I have talked about are extremely beneficial in helping you reduce extra kilos. They are extremely nutritious that burns your fat and keeps you full for a long time. However, besides consuming the healthy foods to reduce tummy fat, you must also make some lifestyle changes that will help you to reach your desired goal. I have also noted down some other tips which you must follow like doing proper workouts, maintaining good sleep and diet routine, quitting alcohol, combating stress etc. If you follow all of these diligently, I am sure you will be able to fight obesity and reduce your tummy fat easily. Do you have excessive tummy fat? Are you frustrated with not being able to reduce it? Well, then you might change your selection of foods and include my recommended list of healthy foods to reduce tummy fat easily. All of this are highly nutritious and most of them are scientifically proven to lead to effective weight loss. So, do try them out and decide their worth for yourself. Also, share your feedbacks and suggestions in the comments section if any. Until then, stay happy, stay fit, and win the battle against tummy fat with the healthy foods to reduce tummy fat easily.